1. What makes Meaningful Beauty®'s melon extracts so powerful? The melon extract in Meaningful Beauty’s revolutionary treatment products is taken from a rare form of "cantaloupe charentais", which is grown only in the south of France. This rare melon contains a powerful super-antioxidant called superoxide dismutase (SOD) which helps boost skin’s resilience and helps restore skin’s look of youthful radiance. 2. I have sensitive skin. Can I use Meaningful Beauty®? No matter how carefully Meaningful Beauty® has been formulated, some users may still experience irritation from using the products. If you have sensitive skin, we suggest you use the system every other day for the first week and gradually increase to daily use as your skin gets acclimated. If you still continue to experience irritation, please discontinue use. 3. Why does the Moisturizing Antioxidant Day Crème contain SPF 20? Exposure to sunlight is known to be the leading cause of premature skin aging. Unlike many sunscreen products currently available, Moisturizing Antioxidant Day Crème contains one of the most advanced sunscreens on the market, providing broad-spectrum protection against both UVA and UVB damage. If you are involved in outdoor activities with increased sun exposure, or desire even more protection, you can apply a sunscreen with even higher SPF over Moisturizing Antioxidant Day Crème. 4. 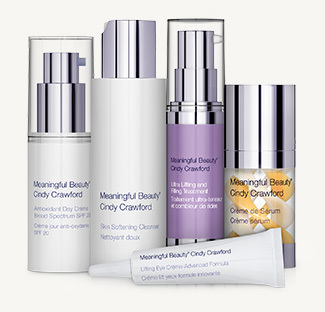 How is Meaningful Beauty® different from other skincare products on the market? Meaningful Beauty® combines classic formulations with cutting-edge science, resulting in an exclusive age maintenance skincare system designed to help rejuvenate the skin and diminish the visible signs of aging. Used as directed, Meaningful Beauty®'s formulas are designed to help smooth the appearance of fine lines, brighten the complexion, and diminish skin roughness and redness in as little as four weeks. 5. Meaningful Beauty®'s Skin Softening Cleanser leaves my skin feeling soft and moisturized, but not tight and dry. Is my skin really clean? Yes, it's really clean. Meaningful Beauty’s Cleanser is a gentle, non-irritating formula that removes makeup and skin impurities. Skin is clean and refreshed, not tight and dry. 6. Can I use other cosmetic skin care products while I use Meaningful Beauty®? 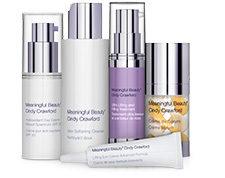 For full efficacy of the product, we would recommend using only the Meaningful Beauty® products. 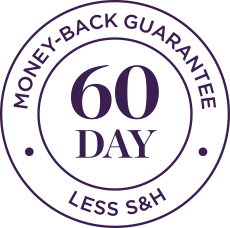 Our products are specially formulated by Dr. Jean-Louis Sebagh to work together as a system for maximum benefit. The specifically balanced antioxidant complex formulas are designed to work together day and night to revitalize the skin. Use every day for best results. 7. When will I see results with Meaningful Beauty®? Meaningful Beauty® is designed to start working right away. You can start to see the difference in as little as 4 weeks—and you can notice even more results after two months. Youthful skin enjoys an abundance of collagen—the natural substance that keeps our skin healthy and resilient. Unfortunately, the body’s natural aging process (along with exposure to environmental factors such as sun and pollution) produces free radicals—unstable oxygen molecules that can damage the skin’s sensitive cells. Over time, free radicals break down the collagen in our skin, causing these once resilient molecules to become rigid and brittle. As the deeper layers of collagen collapse, wrinkles form on the skin’s surface. 9. I don't have any wrinkles. Can my skin still benefit from Meaningful Beauty®? You're never too young or too old to start taking care of your skin. 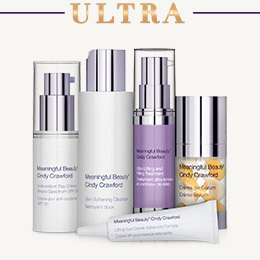 Meaningful Beauty® is perfect for young women because you need to protect, hydrate and moisturize your skin. Meaningful Beauty® has the essential ingredients that can help you protect your skin and maintain a youthful complexion.